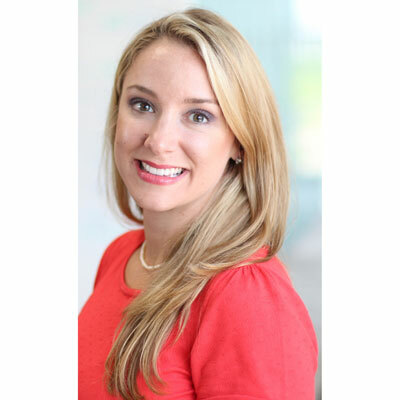 Stephanie Williamson serves as the chief of staff for AT&T Partner Solutions, an umbrella organization that includes all AT&T's indirect sales channels. She leads a staff of nearly 500 AT&T employees, who support around 2,000 solution providers. She is also responsible for several strategic initiatives to drive growth in the channel, a major focus area for AT&T Business. Stephanie is an innovative and strategic leader, with a track record of improving operational efficiencies, building high-performing teams and creating ways to drive value for the business. She has more than 10 years of experience, with expertise in technology, business operations and financial consulting. Stephanie holds a Bachelor of Administration in finance from Texas A&M University. She is a mentor for Big Brothers Big Sisters, is passionate about philanthropy and an avid triathlete. She lives in Dallas with her husband, Josh. In 2017, I helped shape the overall indirect strategy for AT&T. We're doubling down on our commitment to third-party distribution. AT&T Partner Solutions is reinventing how we deliver our products and services, giving business customers more choices in how to access the power of our network. AT&T is going through a transformation to expand our market reach. Indirect channels are key to our growth strategy. AT&T Partner Solutions is driving new strategic wireline and wireless revenue growth, contributing more than 40% of the 2017 incremental growth in these strategic services for total AT&T Business Solutions. Our unique reseller program, AT&T Partner Exchange, was designed to incorporate game-changing technologies and expertise to help solution providers succeed. We have provided access to a rich set of products, services and enablement resources. This includes several milestone launches in 2017: AT&T FlexWare - a platform that simplifies delivering and deploying software-based network functions - several IoT resources and new open APIs to help solution providers enhance their automation capabilities. 2018 is all about growth in AT&T Partner Solutions. So, number one is for us to grow: grow the number of solution providers in our program, grow our relationships with our current solution providers and grow the number of technology solutions available in our channel. To grow, we'll focus on continued integration of the channels: AT&T Alliance Channel, AT&T Partner Exchange and ACC Business. In 2017, we brought all our indirect sales channels under one roof to take advantage of best-in-class resources from each of the teams. Hands down, Hillary Clinton. She is a trailblazer for women in politics and an advocate for gender equality. I admire her tenacity, perseverance and passion to fight for what she believes in. My advice: dream big and go for it. Mark Twain puts it perfectly: "Twenty years from now you will be more disappointed by the things that you didn't do than by the ones you did do. So, throw off the bowlines. Sail away from the safe harbor. Catch the trade winds in your sails. Explore. Dream. Discover." The ability to code. A basic understanding of how software and applications are built is a game-changing advantage in any industry. Be Our Guest - Perfecting the Art of Customer Service by The Disney Institute and Theodore Kinni This is one of the best customer service books I've ever read. The principles are timeless, practical, and easily applied to any business. Essentially, whatever you do must be of the highest quality - and always with the customers' needs at the forefront to deliver exceptional customer service.